Affordable travel is so much easier to achieve than you think. Of course, it requires a little homework at certain points in the process, but using travel sites to find deals isn’t the only thing you can do to make travel less of a drain on your wallet. 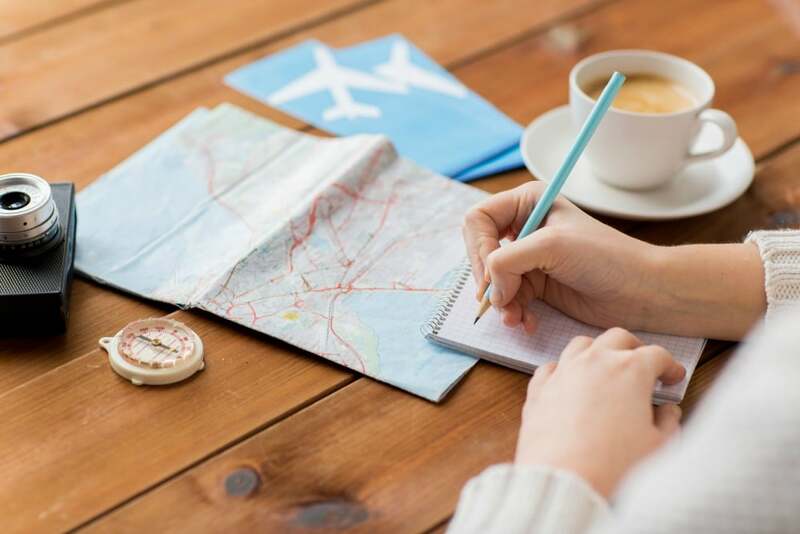 There are things you can do before you even start the booking process to help make affordable travel an easy part of your travel plans. 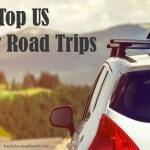 We are currently on a 21 day US road trip and loving all of the benefits that planning our travel brings. Making small changes at home can make all the difference when saving for our next travel adventure. With all of the commercials out there talking about booking the best hotel at the best price, it might seem like the only way to afford to travel is by using one of those websites. Well, that’s part of it, to be sure. But in reality, the best way to make travel an affordable option starts with you and a decision to prioritize that trip you want to take. One of the biggest aspects of affordable travel is having a travel fund. You should always have money set aside for just travel. 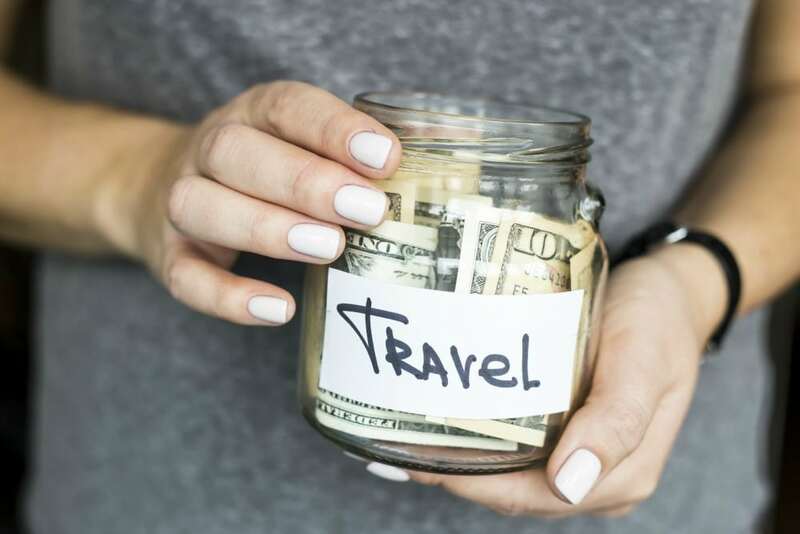 Even if you aren’t planning a trip for the year, still put money into that fund regularly so you always have a travel buffer. I know. You felt a stab of pain when you read that didn’t you? We all love our local coffee shop. I feel your pain. I do. 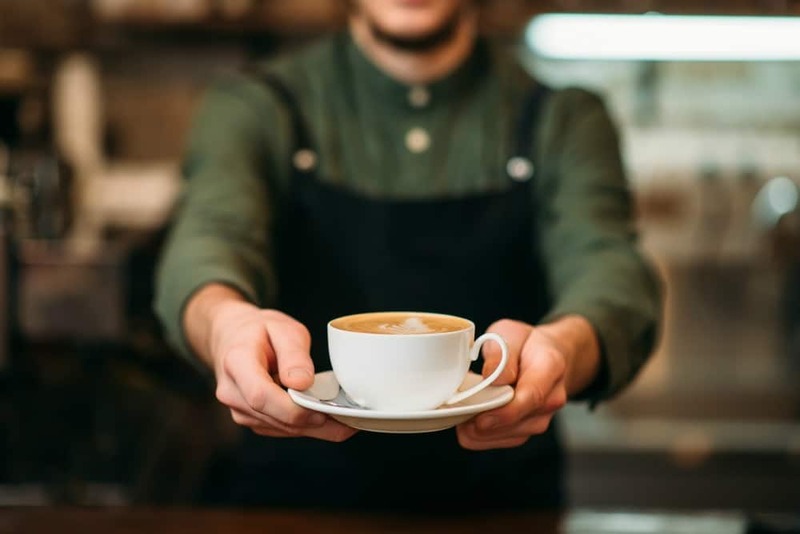 BUT… If you add up the cost of just one coffee a day over the course of a year, you’ll have quite a bit of money to put towards that vacation. This is admittedly a hard one for me. One of my tricks is to save my Starbucks Star Rewards up so that I can use them when I am saving money. That way I get my coffee treats without spending a cent. I know! The hits just keep on coming, but you really can save soooooo much money if you reduce or eliminate eating out. There’s another bonus to saving money, though. When you make your own meals, you get to spend more quality time with the fam WHILE saving up for that trip! Plus you can plan a great foodie travel experience where you can eat out the best food around the world. You’ve saved up your travel fund, now it’s time to stretch it. Travel sites like Kayak or Trivago are the next step after getting frugal to make travel more affordable. Using these sites, you can find excellent deals on accommodations, and you can even search by amenities. Travel apps are one of the best tools to use for affordable travel. There are apps for everything from finding the cheapest gas in an area to finding hotels in a pinch. You can even use apps to book flights and often find savings there, even on last minute bookings. Just don’t expect TOO much savings on the last minute stuff. 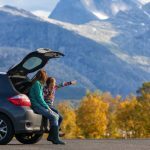 On our current road trip, we’ve booked almost all hotels on our apps collecting hotel points, and more. 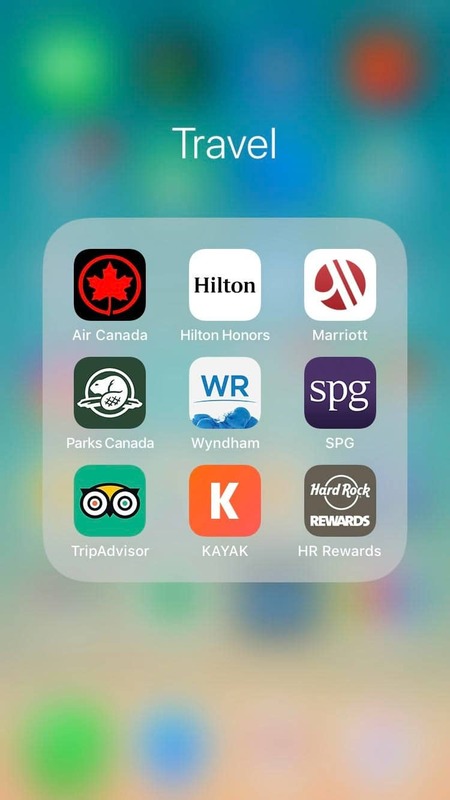 Check out our favourite travel apps on our phone. What are yours? You can make your money stretch even further if you pre-purchase tickets for any and everything. Airline tickets are cheaper the further out you book. Theme park tickets are cheaper when you pre-purchase rather than paying at the gate. In fact, the general rule of thumb for affordable travel is to ALWAYS pre-purchase. I’m a big fan of three-star hotels. I know, I know. We all want to stay at that four or five-star hotel to vacation in posh style. But consider this. How much time do you really spend in your room? We used to book those fancy hotels, and then one day I looked around and realized that we were only in our rooms for maybe three hours outside of sleeping. We did most of our dining at local restaurants, as well. That extra star was wasted on us. So opt for that three-star hotel for a cosy compromise and a huge saving in your quest for affordable travel. One of the cornerstones of affordable travel is off-season travel. I actually LOVE off-season travel. Flights are cheaper. Theme parks are less crowded. Heck, if you’re travelling to a tropical climate like the Bahamas or the Caribbean, the offseason is still a great season for the beach! Take advantage of that offseason! It may seem like affordable travel is just a financial unicorn, but it’s not at all! If you love to travel, just prioritize it. Make a commitment to save where you can and stuff it into that travel fund. After that, all you really need to do to make affordable travel easy is take advantage of what’s already there. Use those pre-purchase options. Drop that extra star. Go in the offseason (and have fewer lines). If you take advantage of these tips, affordable travel is yours to enjoy. Ready to go? Don’t forget the travel gear we love! 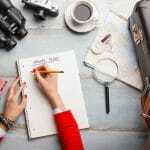 Great tips for affordable travel and save money. 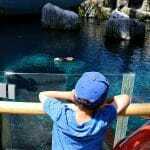 I always purchase travel tickets before 2 or three months but when a major event happening then it can be quite stressful to purchase tickets on cheap rates.